Smarter banking for the mobile generation. Chime is on a mission to help millennials lead healthier financial lives. They plan to achieve this by eliminating unnecessary fees and using technology to help members form healthy financial habits. Members get a Chime Visa Debit Card and an FDIC bank account that can be managed entirely from their smartphone. Design Research, Usability Testing, Wireframes, UX + UI, Concept Development, Prototyping. I also took the lead in creating the usability testing guides for the team. Design an optimal home screen for their Android app based on millennial banking research and validation of the existing iOS beta design. Learning about the different mental models of millennials towards personal finance was a unique aspect to this project especially as a millennial myself. To inform our design strategy, we used a variety of research methods to uncover important insights. Based on Chime's needs, we split our initial research phase into two parts. To get a lay of the land, we first took a look at Chime's existing market research and ran a competitive analysis. We looked at other models that shared Chimes's values in using technology and removing fees. Next, we conducted interviews with millennials to understand their needs and behaviors towards personal finance. For a more holistic view of the market, we created provisional personas of Chime's current and target users to guide our interviewing process. Based on our user insights, we iterated on our personas to guide us in designing for Chime's future users. Chime wanted us to conduct usability and comprehension tests for their iOS beta design. Aside from discovering what users liked/disliked, we learned about what aspects to integrate into the new Android home screen design. I took the lead in creating the usability testing guide by mapping out key tasks and structuring scenarios for each of them. I also created some comprehension questions on any icons or language that seemed confusing for first-time users. After conducting five tests on techie millennials ages 22-30, we grouped the pain points into themes and used a 2x2 matrix to visualize patterns. How might we show Georgia where she stands on spending/saving so she can have control over her financial life and develop healthy financial habits? How might we provide Georgia with a positive banking experience while alleviating negative emotions around personal finance? Before going into design sprint mode, we explored different ways we could reorder the elements from the iOS beta design to provide a cozier user experience. As a team, we ranked each element based on what we believed as most important to the user and restructured the home screen accordingly. Now that we had a sense of order, we sketched out some ideas with our research insights in mind. Our brainstorm session resulted in the idea that more financial data visualizations and graphics would remove cognitive load for our users. 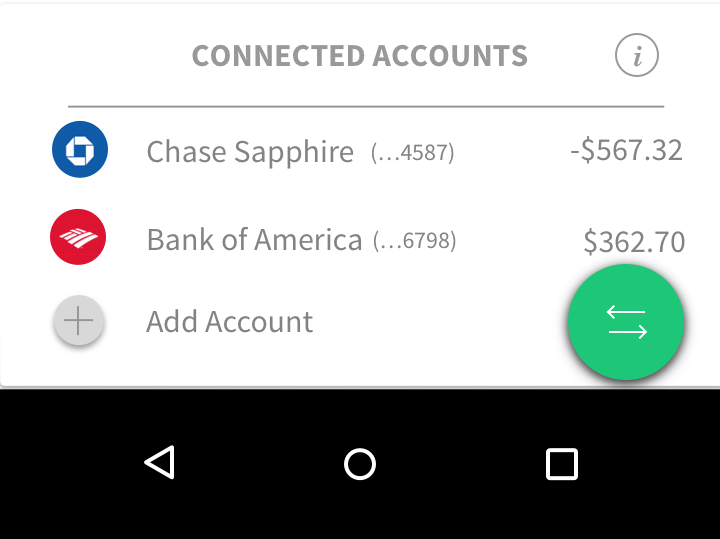 We diverged and moved into Sketch to design some ideas for the top 3 elements: Accounts Summary, Recent Chime Transactions, and Savings Outlook. After a few more rounds of ideation, we ended up with two lo-fi versions we wanted to test out. 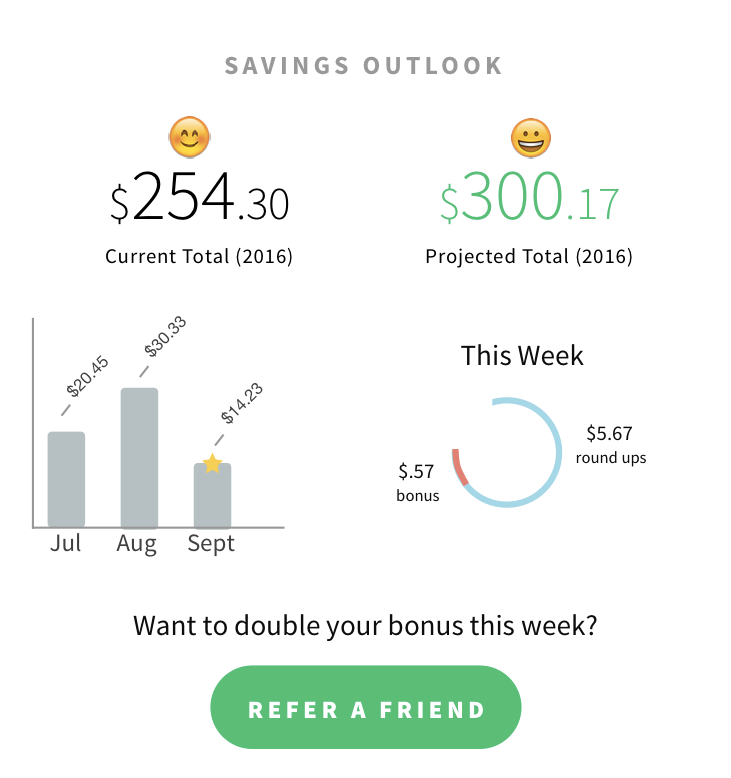 The two home screen elements we largely redesigned were the Account Summary and Savings Outlook. To validate our changes, we conducted five usability tests on techie millennials ages 23-30 for both versions. 2/5 users we tested were existing Chime users. 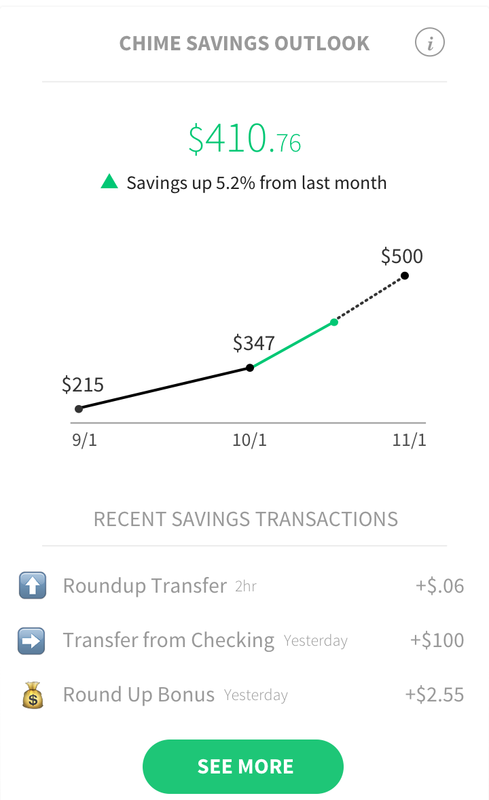 Savings Outlook: If users can clearly see the value provided (increase in savings) by using their Chime card (vs. credit card), it would incentivize them to use it more frequently. After presenting our insights and collecting feedback from Chime, we moved on to hi-fi prototyping. With these tips in mind we jumped straight into design sprint mode. For this design sprint we used more elements of modern card design. We also focused in on breaking down information from the checking and savings accounts even more. And to remove cognitive load from the Accounts Summary section, we removed the Connected Accounts information and made it its own element again. With our latest changes, we conducted 5 usability tests on techie millennials ages 23-33. Users responded well to the interface, and the client loved it! The Chime team is building elements we created into their product now.